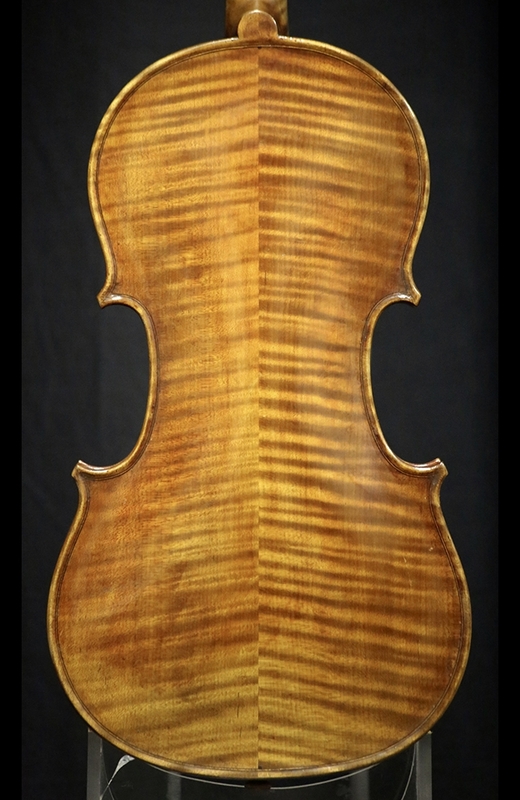 Description: Douglas Cox received his early training at the State Violin Making School in Mittenwald, Germany in the late 1960's. He spent ten years as head of the repair department and chief restorer for the firm of J. Bradley Taylor, Inc. in Boston, servicing the finest instruments in the New England area. Since 1981 he has devoted himself to making fine new instruments. 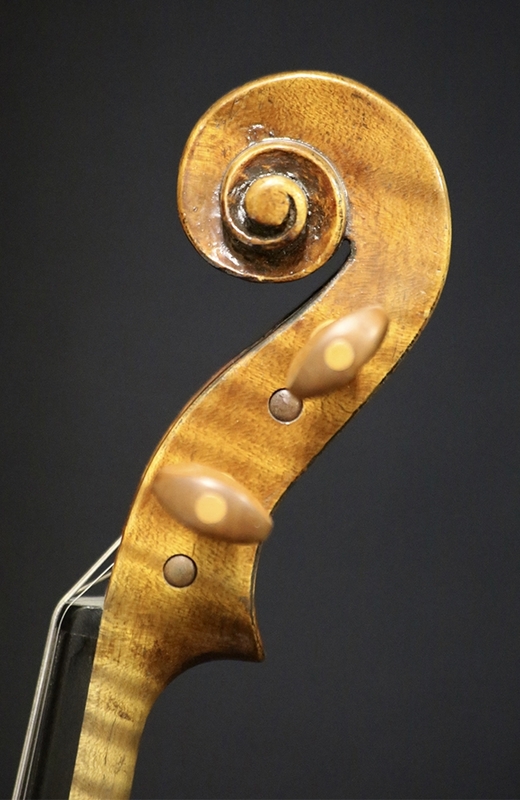 He continues to stretch his making abilities and understanding of what makes violins work by building close copies of unusual and noteworthy master instruments. Since 1981 Doug has built more than 700 instruments. His instruments have received awards from the Violin Society of America and are played by artists in a wide variety of musical settings around the world. 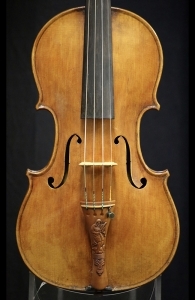 The violin itself is a spectacular copy of the "Medici" by Antonio Stradivarius. It is finished in a red brown varnish over a gorgeous two piece back of the finest quality wood. 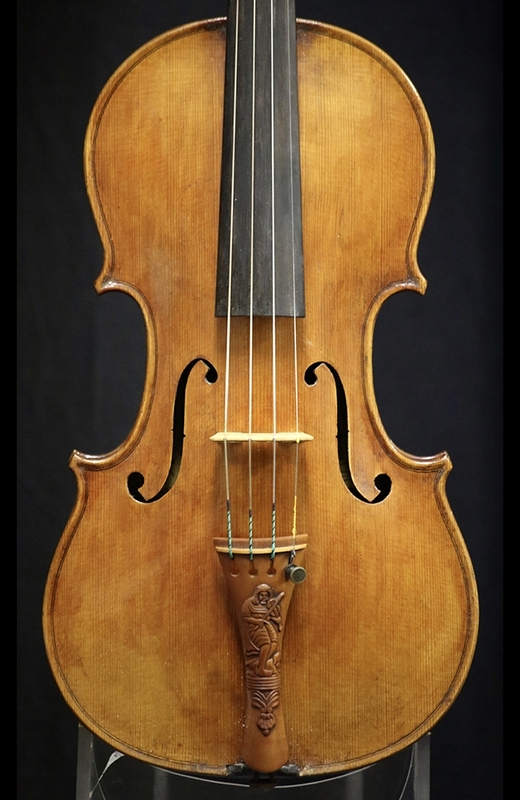 Remarkably antiqued and in excellent condition, the violin also has phenomenal tonal qualities. The big, warm tone make it perfect for the greatest soloists and performers.